An updated version of this article is now published on my website. 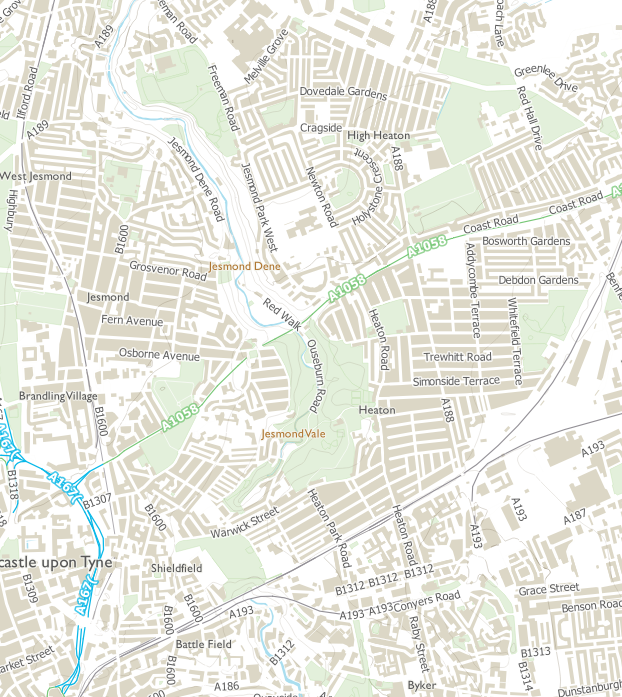 Ordnance Survey have recently started a trial of a new open UK mapping product, OS Open Zoomstack. 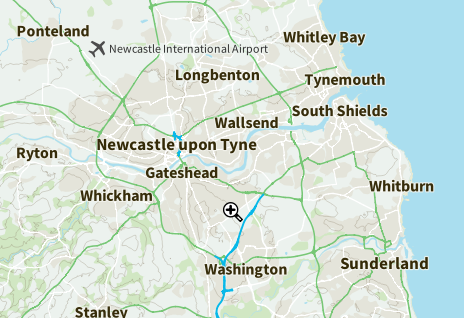 Zoomstack is “a comprehensive vector basemap from a national overview to street level detail”. It comes in various extremely powerful and/or user-friendly formats such as GeoPackage, PostGIS, and vector tiles (both downloadable as an MBTiles file and hosted online and accessible via an API). 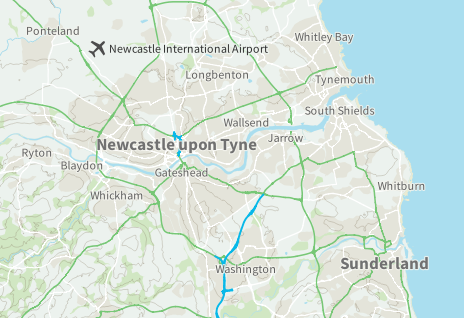 It’s very much worth looking at Alasdair’s Mapbox GL examples, as I don’t cover that usage here, and GL exploits the possibilities of this vector data impressively. It’s therefore a realistic alternative to OpenStreetMap, assuming that OS continue this approach to open licensing for this dataset. We’ll have to see what they do with the hosted vector tiles — it’s too much to hope that there will be no rate limits. However, in the spirit of the trial, and of giving feedback (hopefully constructive), here are a few details which could maybe use improvement. I’m not a great user of spatial data, so the majority of this review focuses on cartographic style. Who knows what people will achieve by programmatic use of the data. Please consult the docs before plunging in. I didn’t, and asked some basic (fort. leg. “stupid”) questions they already answered, and even gave feedback which is already covered in the docs. Sorry, OS. There is some discrepancy in both the layers and styles. 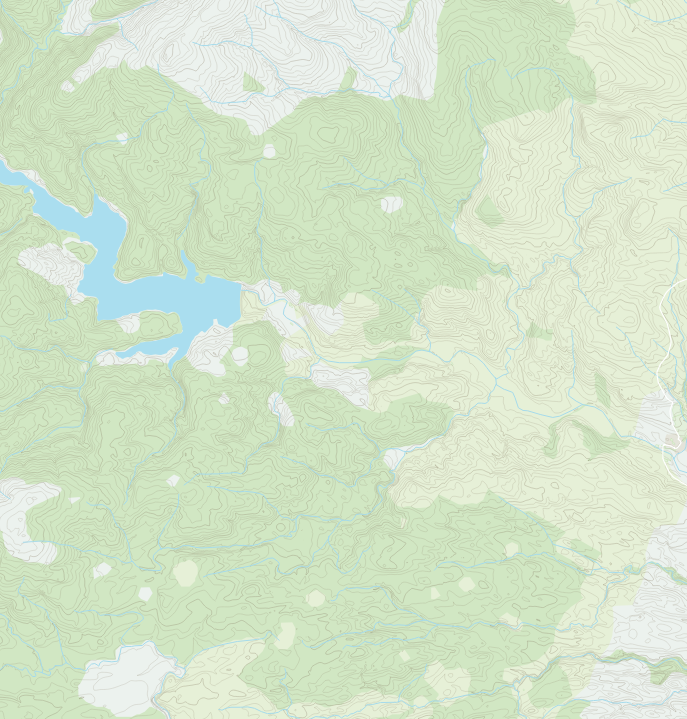 There are slightly different layers in the GeoPackage and the MBTiles vector layers. I don’t know what real difference this will make in practice, so it would be good to know which layers will make it into the final product, and hopefully see consistency between the formats. Similarly, OS have published stylesheets for Zoomstack, including multiple styles in GL JSON format. It would be good to have the alternative styles in the other formats (such as QML). I’m getting some rendering freezes using the GeoPackage in QGIS across a network. I don’t know if this is a QGIS issue, or whether any improvements can be made to the GPKG itself. The vector tiles API does not work with QGIS Vector Tiles Reader. This seems to be caused by a familiar problem with the interpretation/implementation of the MBVT spec regarding TileJSON/metadata. I don’t know the full details, but you can see some discussion of it in a Vector Tiles Reader issue about Geoserver vector tiles. Update: Charley Glynn has shown me how to get the hosted tiles working via the API with QGIS Vector Tiles Reader, so the previous paragraph is incorrect. Thanks, Charley! Perhaps the reduction in legibility is too high a price to pay — opinions welcome. Update: I’ve just tried reapplying the QML to the text layer, and this time, the text is not bold. I have no explanation, though perhaps the fact that first time round, I failed to install the supplied fonts before applying the styles might have caused the issue. The main point is that the paragraphs above might well be irrelevant. I’m not sure if this can be tweaked without cluttering denser areas. As an aside, though, this map really shows off this dataset’s design. 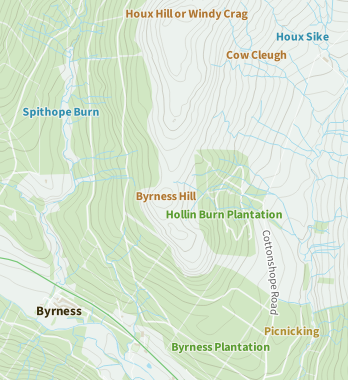 It’s simply beautiful, and the contours add hugely to the potential for rural maps. Zoomstack has a dedicated Names layer, rather than using features’ properties for labels (roads being a notable exception). This is presumably to retain some information for OS’s proprietary datasets, but it does makes some things difficult. The labelling in this image suffers from lack of type differentiation — only colour differentiates settlements from forests, landscape features, and waterlines. 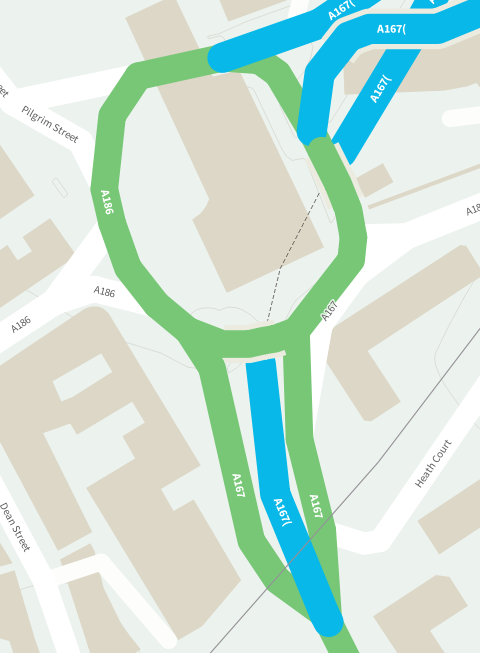 If the latter could be labelled along the watercourse (as the roads are), this would improve things no end. I’m not sure we’re likely to see that improvement, though. You can tell by the minor level of detail I’ve discussed here how successful Zoomstack is. I’m incredibly impressed, some views being comparable to some well-known OSM-based prerendered raster tilesets. I’ve not even begun to try styling things myself, but I can’t wait to see what people build with this.